While California dealt with wildfires and drought for much of November 2018, the month was quite wintry across much of the central and eastern United States. At Chicago’s O’Hare International Airport, the temperature for November averaged 34.6 degrees Fahrenheit, which is 5.7 degrees colder than normal and the 13th coldest November since Chicago records began in 1871. The airport also recorded 12.7 inches of snow, good for the 4th snowiest November ever and the snowiest since 1951. 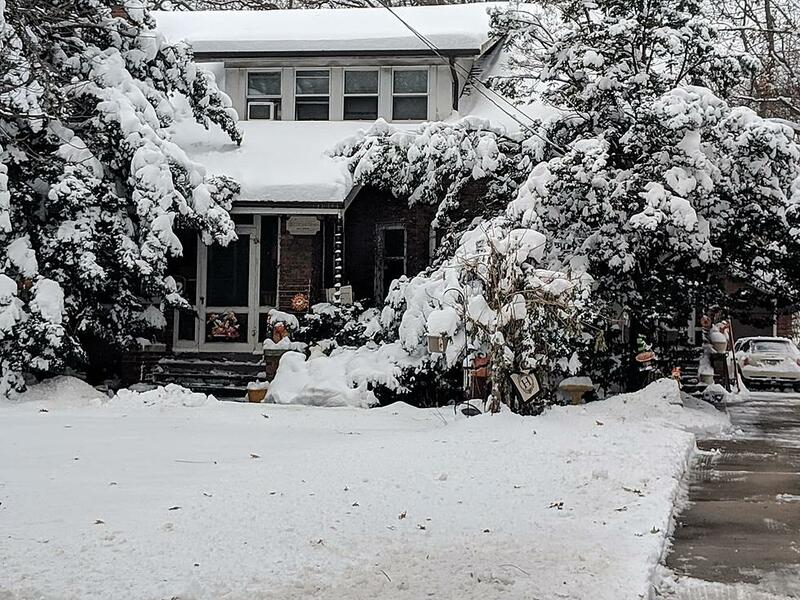 The snowfall total included a storm on November 25-26 which dropped 8.4 inches of snow – the 5th-largest November snowstorm on record – and knocked out power to hundreds of thousands of customers in the Chicago metro area. Additionally, 1.0 inch of snowfall fell on November 9th, the earliest measurable snowfall at O’Hare Airport since 1989. Meanwhile, at Central Park in New York City, the temperature averaged 44.4 degrees, which is 3.3 degrees colder than normal and the second-coldest November of the 21st century. During the month, 6.4 inches of snow fell, the snowiest November since 1938, all in a single storm on November 15th. The storm was the earliest 6-inch snowstorm since New York City records began in 1869 and paralyzed transportation in the area for hours. It was also the biggest single-day November snowfall since 1882 and the largest November snowstorm since 1938. Adding to the wintry feel of November for New York City was one of the coldest Thanksgivings on record. The high temperature that day, reached just 28 degrees, making it the coldest Thanksgiving Day since 1901 and resulted the coldest temperatures ever recorded during the Macy’s Thanksgiving Day Parade. The high temperature was 24 degrees colder than normal for Thanksgiving and in was, in fact, 16 degrees colder than the average high for Christmas Day.